Wow, what a lovely weekend that was for the weather. Although, how many of us were doing the typical British thing of moaning that it's too hot? One week we're in jumpers & jackets & the next it's hotter than the Med. Crazy weather. 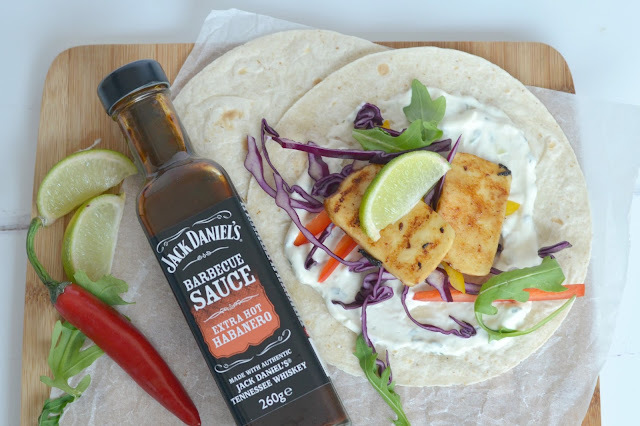 When the sun does come out for us, so does the barbecue. We are a family of barbecue and bbq sauce lovers, so when I was offered some Jack Daniel's barbecue sauces to try out I was intrigued to see what they would taste like, and whether the rest of the family would like them considering they're made with real Jack Daniel's Tennessee Whiskey. I was dying to try the Extra Hot Habanero as I do love my spicy sauces, and this didn't disappoint, as it had a huge kick! 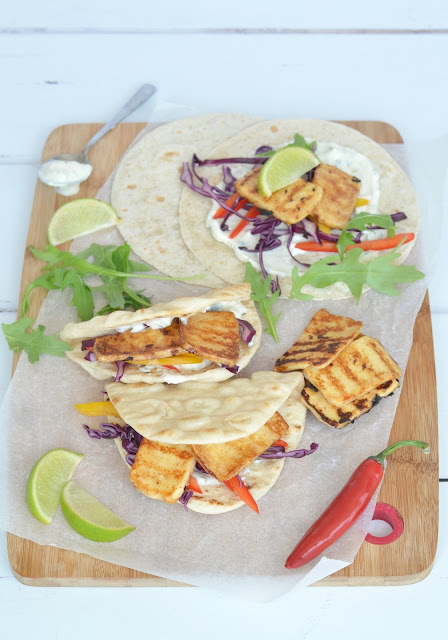 It still packed a punch once it was brushed onto the halloumi slices and cooked on the griddle pan. 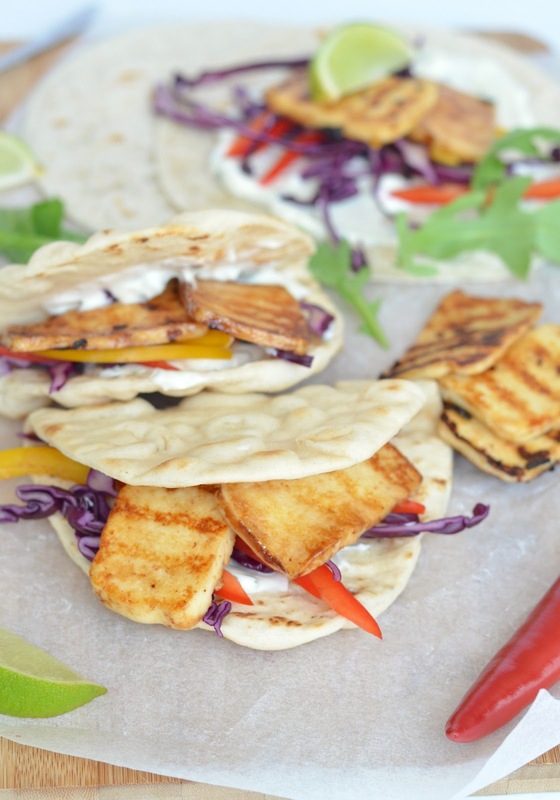 These halloumi & salad filled flatbreads are so fresh tasting, and are very quick to prepare as the halloumi only takes a few minutes to cook. 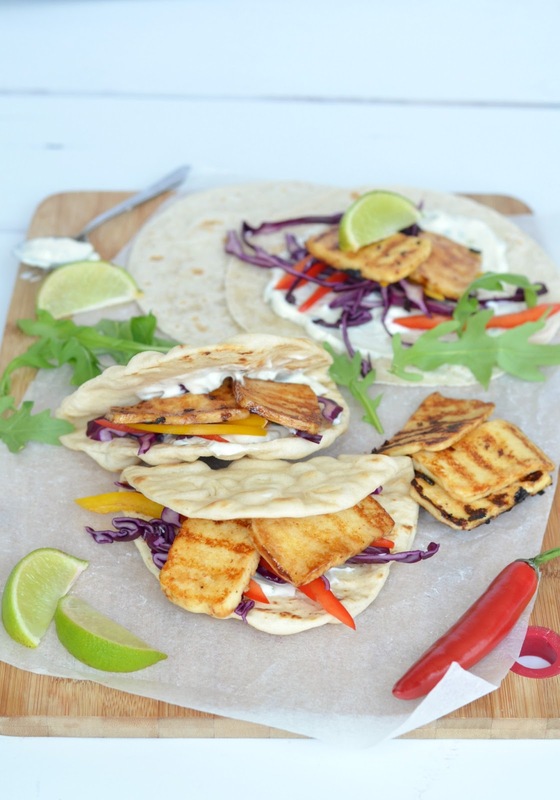 They're a great veggie alternative to the usual meats at a bbq, or a simple pack up for work. 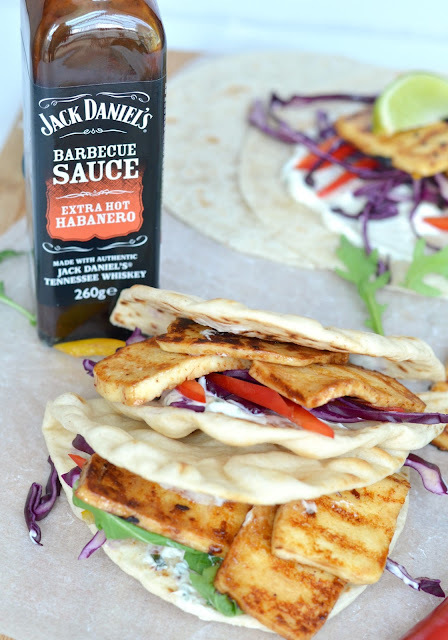 I love these ready folded flatbreads that I found in Tesco as they're a perfect size to hold the filling securely without everything falling into your lap! Myself & the husband ate these as we both love spicy food, and the kids loved the bbq chicken breast made with the full flavour smokey sauce at the weekend - you can see an Instagram pic of our tasty bbq feast here. 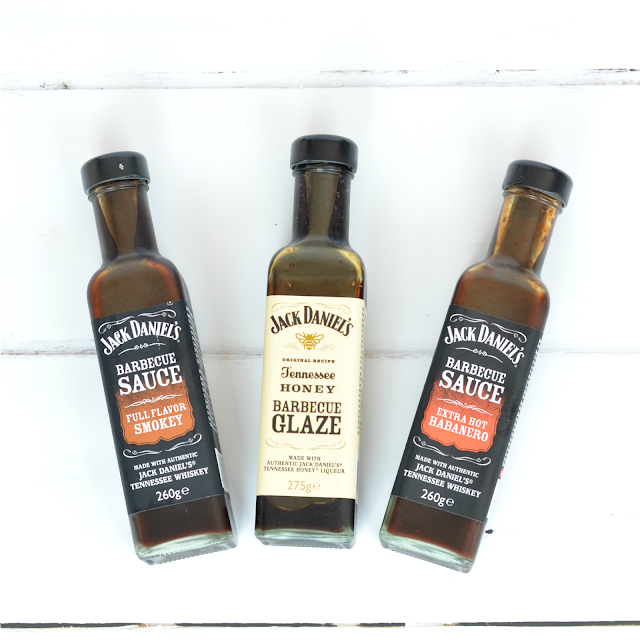 Jack Daniel's sauces are available in 6 flavours, including these 3 above, and are suitable for both vegetarians and vegans, and some are also gluten free.